Accidents involving trucks, tractor-trailers and big rigs injure or kill hundreds of drivers and innocent motorists each year in South Carolina. Placing the public at risk in order to meet delivery schedules and preserve profit margins is an unacceptable cause of serious personal injury and wrongful death. Families statewide left struggling to pay medical bills and replace lost wages need an experienced aggressive truck accident attorney from the Anderson offices of Harbin & Burnett LLP who can meet the insurance companies head on and recover full compensation. If you are injured while operating a truck or commercial vehicle in the course of your job duties, you must file a SC Workers Compensation claim in order to recover compensation for the injury. Workers' Compensation may not cover all expenses, however. An experienced truck accident lawyer from Harbin & Burnett LLP can investigate your accident and identify additional liable parties who share responsibility for the accident, including equipment manufacturers, contractors and other parties responsible for maintenance and training. Please VISIT our South Carolina Workers' Compensation Claims practice page for more information. 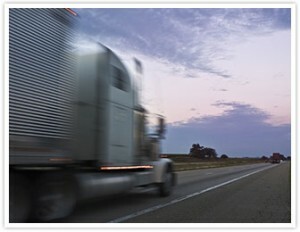 An experienced semi tractor-trailer accident attorney from Harbin & Burnett LLP is available immediately after an incident and can mobilize a team of investigators and legal professionals focused on evidence preservation, accident investigation and the identification of additional liable parties. We have successfully negotiated and litigated truck accident claims involving defective vehicle components and safety equipment as well as lawsuits against government entities related to unsafe maintenance and design of public roadways, including missing signage. Any person injured by the negligent operation of a large truck, semi or 18-wheeler has the legal right to secure counsel and seek compensation. For a FREE consultation and review of your rights and options after a South Carolina truck accident, please CONTACT a personal injury lawyer at the Anderson law offices of Harbin & Burnett LLP today. Please VISIT our Practice Area Overview for more information on our personal injury claims practice, including motorcycle accidents, slip and fall injuries and Workers Comp claims. Any person injured by the negligent operation of a large truck, semi or 18-wheeler has the legal right to secure counsel and seek compensation. For a FREE consultation and review of your rights and options after a South Carolina truck accident, please CONTACT a personal injury lawyer at the Anderson law offices of Harbin & Burnett LLP today.Please VISIT our Practice Area Overview for more information on our personal injury claims practice, including motorcycle accidents, slip and fall injuries and Workers Comp claims.